Let me start by telling ya'll, I NEVER thought that I'd ever be headed down this path. For a long time, my sister has been following her own version of this plan -- and I thought she was nuts. Here is the thing, this is a plan where you can customize it for your own family every step of the way. So, I'm taking the plunge - and sharing it with you! Let me share what I've learned so far from reading an excellent book! (the photos are links to the books on Amazon -- where I got them!) It's not often that I sit down with my iPad and a computer to take notes from a book, but I've gotten two pages of notes out of 2 chapters so far... and I'm enjoying it. I'm such a nerd! I have several others planned for purchase, but I'll share those as I read them and get going. What I've gotten from the Dummies book has been amazing -- I know that I feel like a dork buying those books, but they are easy to read and typically have some great information in them -- so give it a try if you're interested. Did you know that all of these additives we've been fed over the years are like addictive drugs? Literally, our bodies react to them like they would heroin... and I believe it too. I know that I've been programmed to prefer certain things over healthier options, but I'm here to tell you that I'm going to give all my effort to correcting that for my family. I want the boys to choose healthier options, but know reasonably that sometimes we're going to have slip ups. I'm not trying to deprive us of anything either - my philosophy is that if it's something we want -- I'll find a way to make it myself with whole ingredients. I'd much rather be able to control what is going into my family than just blindly taking what manufacturers offer us. I say that with a food manufacturer being our sole source of income... I know that John's company is not the evil food manufacturer that people often make them out to be, and I will continue to use their products -- mainly because they make rice - which is not as processed as one might think. I just plan to use more of their whole grain brown rice products. 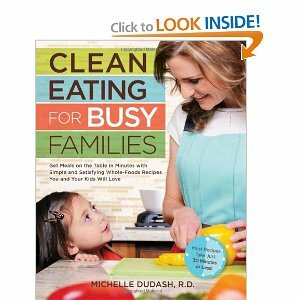 This week, I will be trying out three new clean eating recipes while I continue to do more research and planning. Next week, I'll add more. My ultimate goal will likely be the 80% range... because I want to be realistic with myself that things will get busy and no one is perfect. This week's focus is to drink more water, and eat more veggies/fruits. Next week, we'll add it something else. I'll be making green smoothies for the boys and I, and trying out a few items I found in the organic/health food section of our store. I will be adding in exercise and other healthier things over time too. While weight loss is certainly a goal for me, I just want to make healthy choices and do things that I can keep up with over time. I am focusing on the choices more than numbers on a scale. My goals are bigger than that because mainly, I want to have the healthiest family that I can -- I want to stop my diabetes from controlling my body, and prevent the boys from ever having to worry about their blood sugars (if possible). I also want to make sure that I have the energy to keep up with two crazy boys, and hopefully a third child in the not to distant future. Stay tuned, and join in this journey with us -- if you want to join along, let me know... if you just want to read, that's great too! Kim this is great! I started on the clean eating journey almost 2 years ago. Its definitely a struggle sometimes especially with my family because they are so picky. But clean eating is the way to go. Everything you've been learning in that book is right on. I am off soda and caffeine. I did lose a few pounds but it quickly comes back when you add in too many slip ups like I did over the holidays. I'm back on the wagon now and after a week feel a lot less bloated. I also started back working out. Its been about 5 years and I'm so out of shape but I'm determined to stick with it. Good luck to you! I am rooting for you, Kim! 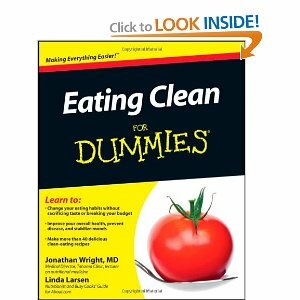 Clean eating is HARD to do all at once...or strictly. HARD. But we try to do the best we can here, too, because it's all so true...there's just so much garbage in food nowadays. It's not necessarily a matter of it being organic vs. non-organic, though we do prefer organic in most cases, but those ingredients. We are eating things we don't even know how to pronounce. Good for you, lady! Keep us updated! This is AWESOME Kim! I've been on the same track since the start of 2013 and so far, I've been doing pretty well. The challenge is having a spouse who doesn't enjoy the things I do that are considered healthy for me as I strive to lose weight. He won't eat salmon, brown rice, sweet potatoes and is pretty stand-offish about certain greens that I know would be ideal to add to our diet, like spinach and kale! But also, he can afford more calories and less favorable carbs because how he works out. He's burning at a much faster rate than me. I'm trying to get to 100% clean, but doubt I'll be able to, so I'm substituting where I can. I'll be real interested to see what receipes you use because if they are something I think Todd will eat, then I'll be first in line to give them a try. We have been doing smoothies with no sugar added frozen fruits, greek yogurt, skim or almond milk and our respective powder vitamins. I saved a Pin that had alternative smoothie receipes; green smoothies are something I am REALLY interested in since they are a great meal replacement! I truly hope you find success in this endeavor and girl, I will be RIGHT HERE to cheer you along! Stopping by from the biggest loser challenge :) Looks like you have a great plan in place! Thank you for posting this. I am going to have to check those books out. The more I read, the bigger my smile...I proud of you guys. Stick with it!! !